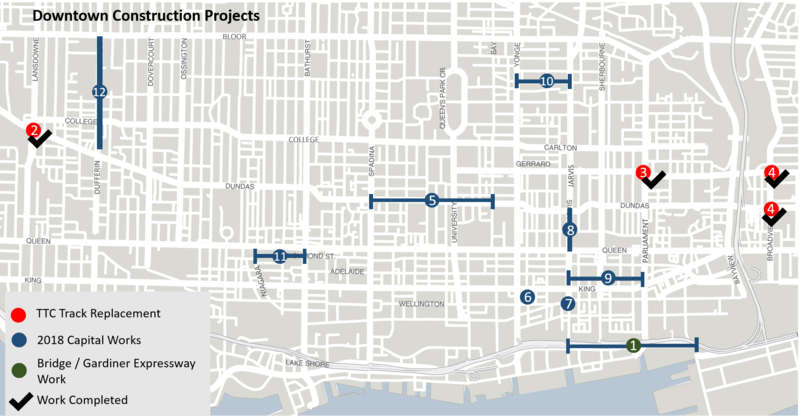 The City of Toronto is completing various construction projects throughout downtown Toronto in the spring, summer and fall of 2019. These projects are part of the Council-approved Capital Works Program to renew aging infrastructure. In the tabs below are the downtown construction projects that started in 2018 that will extend into 2019. The downtown construction list for 2019 will be updated in the coming weeks.